Things to do before shipping a car! Before shipping a car request a copy of your Auto Transport Company’s Insurance policy that shows coverage amounts for General Liability, Workers Compensation, and Cargo Insurance. Cargo insurance is the insurance that will cover any damage to your vehicle. That is their insurance limit PER truckload, so if the auto transporter has six cars on it would be the cargo insurance limit divided by six if there was a total loss. Total losses are extremely rare with reputable carriers the most common scenario is your car is the only one damaged so that cargo insurance would be available to cover your vehicle fully. 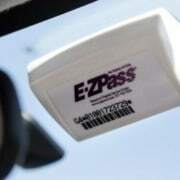 REMOVE your EZ pass transponder! 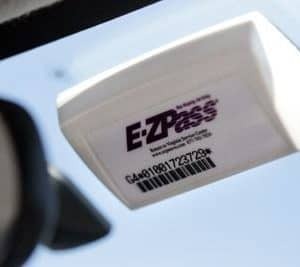 It’s possible for the transponder to be read even inside of an enclosed car trailer. How much gasoline do you put in a car before shipping? A quarter of a tank of gas is typically the standard rule of thumb when shipping a car, but the most important thing is to ensure there is enough for the car to drive on and off the trailer to avoid being charged a non-run fee. We would advise not filling it to the brim right before transport because if the temperatures increase significantly enough it can cause the fumes to expand and gas to leak out the overflow of the vehicle. Make sure the battery is fully charged and secured before auto transport. If the vehicle has a dead battery, you may incur an additional fee for a nonrunning car. Can I pack my car before shipping it? 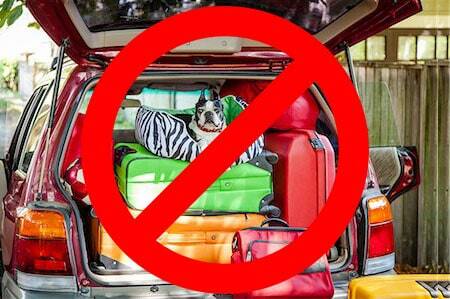 Most auto transport companies don’t allow you to pack items in the vehicle before transport. Intercity Lines does up to a 100 lbs, but they are not liable for the items during transport. Typically two packed suitcases weigh around 100lbs for a point of reference. Hazardous materials, firearms, explosives, fireworks, and other dangerous or illegal items are not allowed in your vehicle regardless of the transport company. If you do pack the vehicle, it’s important not to block the front two seats or the view out of any of the windows. Even in a top of the line air ride trailers that Intercity Lines has the car does experience movement during transit, so it’s important that your items are secured and appropriately packed to avoid damage. It’s always best to check with the auto transport company on their specific rules for packing. When speaking to the truck driver assigned to pick up your vehicle be sure to explain how truck accessible your home is. Most experienced drivers use google maps to check out a pickup or drop off before arriving, but inside information is always helpful. Once the truck driver arrives to pick up your car be sure to explain those “quirky” things about your car, to the auto transport driver, such as kill switches, alarms, cut-off switches, old Fords only start in neutral, brakes only work with the motor running on some cars. The more information your Driver has, the easier it will be for him to ship your car across the country.